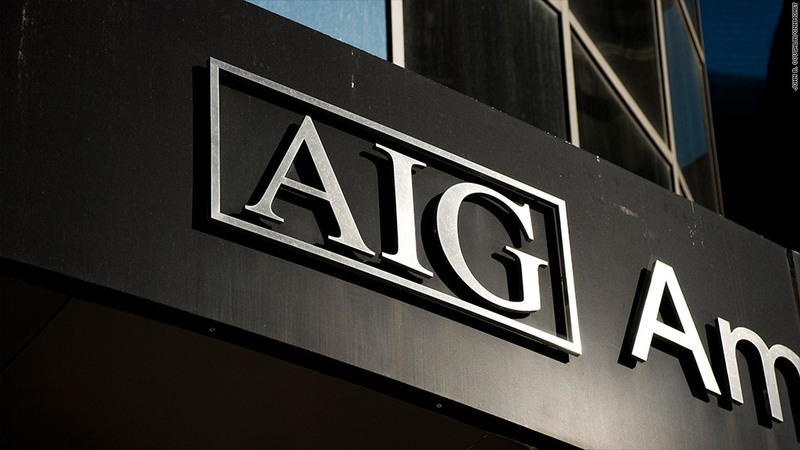 The U.S. Treasury is planning an $18 billion stock offering for bailed out insurer AIG. American International Group is moving a big step closer to being out of the U.S. government's hands. The Treasury Department said Sunday it is offering $18 billion worth of AIG shares, representing more than half of its remaining $29 billion stake in the bailed-out insurer. Should there be strong demand for the offering, Treasury will sell an additional $2.7 billion of the company's stock. AIG's (AIG) plans to buy $5 billion worth of the shares. Shares of AIG were down 1.5% in midday trading Monday on the news. The exact number of shares sold will be determined by the final offering price, which has not been set. But if shares sell for close to current values, it will reduce Treasury's stake to about 20% of the company from 53% of the shares it owns today. The pricing of the shares and the sale is expected sometime early this week. The announcement came just weeks after Treasury's partner in the 2008 bailout, the Federal Reserve Bank of New York, sold the last of its AIG holdings. That was a $6.6 billion sale of a portfolio called Maiden Lane III, consisting of collateralized debt obligations. With the sale, the New York Fed was able to turn an $18 billion profit for taxpayers. The latest sale will leave Treasury just short of break-even from its bailout of AIG. The insurer received about $67.8 billion under the Troubled Asset Relief Program, and Treasury will have received back more than $61 billion through stock and asset sales with this latest offering. That means it is likely to turn a profit on its AIG bailout once it sells its remaining stake, which is worth more than $11 billion at today's stock price. Treasury's public offering is the latest chapter in a story that began in 2008, when the venerable insurer was crippled by the financial crisis that it helped to create through a series of risky deals and bad bets. The government swooped in and bought AIG's toxic assets. The U.S. government initially offered AIG a lifeline of $85 billion that eventually expanded to $182 billion, including the TARP money. The major "too-big-to-fail" banks have all repaid the money they received from TARP, either through repayments or share sales. Treasury made money on those bailouts. There were still about 400 smaller banks that between them owed TARP about $14.3 billion as of June 30, although both those figures have declined slightly since that latest reading. Besides AIG, several companies bailed out during the financial crisis still have significant government ownership. Mortgage finance firms Fannie Mae and Freddie Mac, and bank and auto finance company Ally Financial are majority owned by Treasury. In the case of automaker General Motors (GM), Treasury's stake is just less than a third. Treasury said that it retained Citigroup (C), Deutsche Bank (DB), Goldman Sachs (GS) and JPMorgan Chase (JPM) as joint global coordinators for the planned AIG offering.